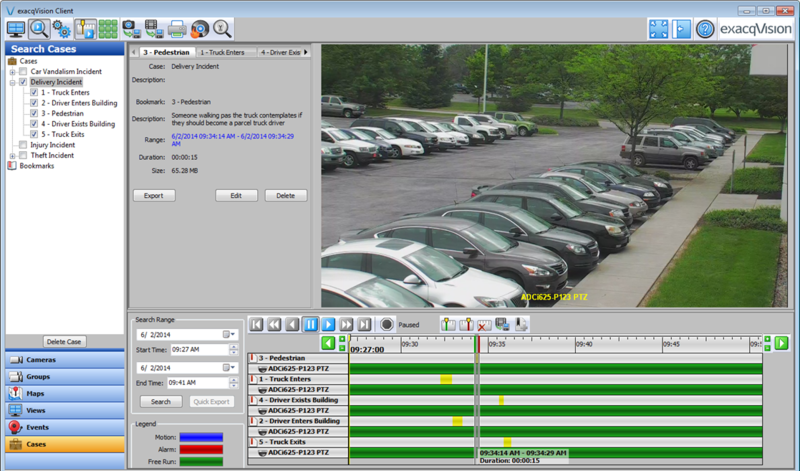 exacqVision 7.6, the latest release of exacqVision video management system (VMS) software, is now available from Exacq. The exacqVision client will leverage hardware H.264 decoding if present to improve the Windows, Linux and Mac client performance. Hardware acceleration increases H.264 decoding performance. To enable client hardware acceleration, go to client options and click the Calibrate button. After running the calibration, you will receive a recommended level of GPU decoding, which you can adjust with the slider bar. The amount of performance boost hardware decoding provides will vary by the GPU resources available on the machine. For a Broadwell i7 CPU, CPU usage decreased by up to 50% for 16 camera layouts and rendered frames per second increased by 30% for 48 camera layouts. In live view, users can utilize area zoom for pan-tilt-zoom (PTZ) cameras. This allows a user to draw a box around a specific region to instantly optically zoom in to see greater detail on objects or people in the distance. Simply hold control and left click to draw the box around the area to zoom in on. This new feature is available for Axis and Illustra PTZ cameras used within exacqVision. For European customers, exacqVision has added the ability to configure enhanced privacy restrictions requiring a second reviewer to view the live video or review recorded video. Add the option to require two people to enter passwords for live, search and export actions. By default this feature is disabled. To enable this feature, contact Technical Support for a special configuration key to import on the Systems page, security tab. Within the maps page, configure a new map, add an icon and map image. Right click the camera on the map and select the new option Show Field of View. Drag the field of view to cover the appropriate area. The new functionality also allows the field of view color to be updated to a preset list of more than 10 color options. Simply right click and select Field of View Color to change the color so it appears better on the screen. Drag and drop maps and child maps anywhere on the list. The exacqVision client and server now support Windows 10. The exacqVision client can now automatically discover exacqVision servers on the network. Instead of having to manually type in the IP address range and brute force scan through each address, the client will automatically scan when the client is opened. Clicking the Find button on the find systems tab will initiate a rescan to find new servers. When a network outage occurs, exacqVision will reconnect to the camera. The IP reconnection interval has been updated to reconnect every 15 seconds for up to 5 minutes. After 5 minutes, it will attempt to reconnect every 60 seconds for up to 1 hour. After 1 hour, it will go back to searching every 5 minutes. 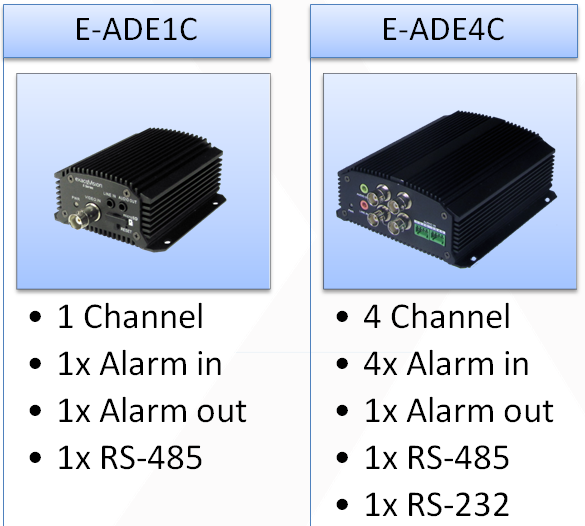 This reconnection is available for Illustra, Axis and Arecont Vision cameras. Exacq Mobile has enhanced search functionality. 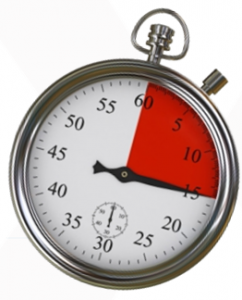 Users can quickly select a pre-defined search range from 1 minute to 30 minutes or enter a custom time search to set your own time perimeters by clicking the search icon in the upper right hand corner. In the custom time search, users can easily select the hour and minutes from the clock icon. Select up to 4 cameras to view search results. The new toolbar layout offers easier navigation for layouts, VideoPush, Cycling through cameras and searching. VideoPush allows you to push live video to any other client. The new Cycle Through Cameras icon takes you to the next two cameras on the list. To cycle through cameras, you can also do a two-finger swipe to the left or right to navigate to cameras. Administrators can now perform software updates. The improved available versions page provides ESM users with quick identification of the current versions of exacqVision clients, web services and ESM itself installed across the entire environment. The Available Versions page has been updated to the Running Versions page. It shows new headers for versions, product, platform name, count and actions. Receive notifications at the top when newer versions are available. Users can update all exacqVision clients and web services connected to ESM directly from one interface. To schedule an update, click on the calendar icon at the top next to Web Services. Simply adjust servers to update in the servers to schedule drop down menu and then select the servers you would like updated. In the additional data, you can add notes. For ESM to update itself, there is a new light bulb icon in the footer. Clicking the light bulb will allow you to schedule a system update for ESM. Users will see a message informing them the system will be going down for an update. 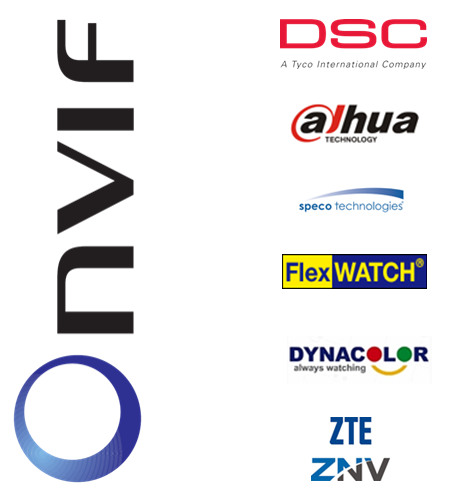 We have added support for more than 50 new IP camera models in exacqVision 7.6 release and updated over 250 test records. 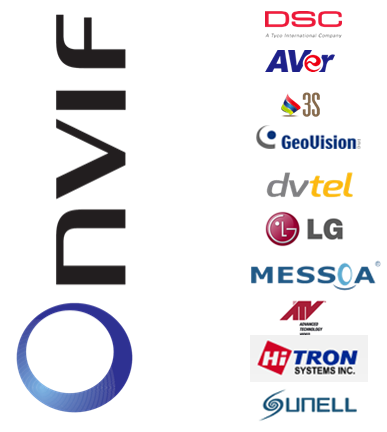 exacqVision now supports nearly 3,000 IP cameras. exacqVision 7.6 is available for download here. 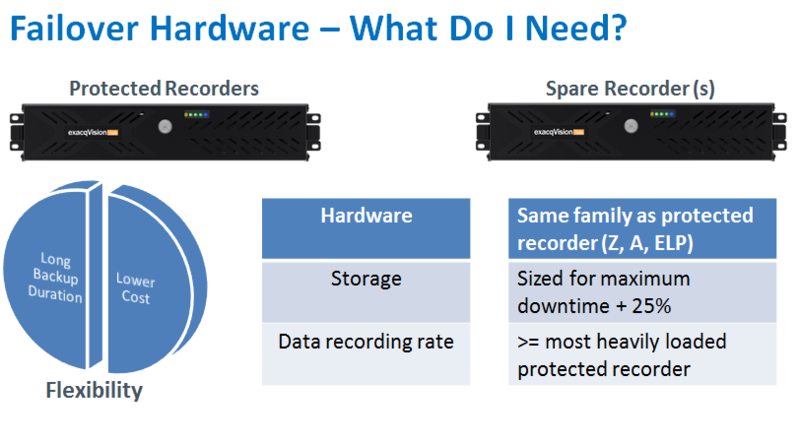 Learn more about migrating from analog to IP video. The latest version of exacqVision video management system (VMS) software version 7.4 is now available. 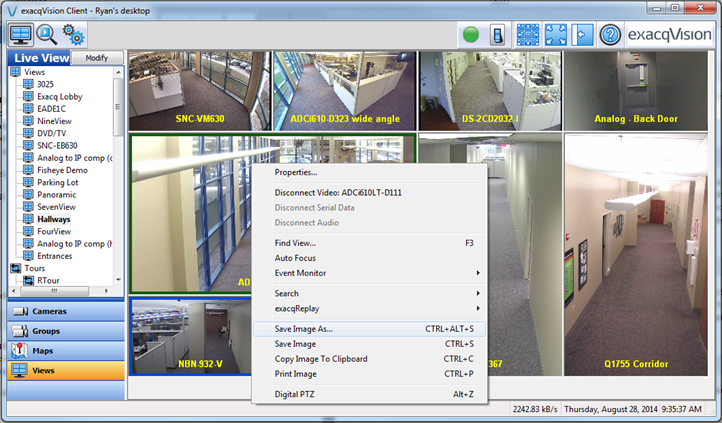 exacqVision 7.4 offers a complete platform for users to manage video surveillance, intrusion and access control from one easy-to-user interface. The new DSC PowerSeries Neo native integration combined with the Kantech access control integration introduced in version 7.2, give exacqVision users greater control to operate all security operations at once, reducing complexity for security personnel while saving time and money. exacqVision 7.2 introduced the Kantech EntraPass integration providing users with the ability to control doors and locks directly from the live view page of the exacqVision client. In 7.4, exacqVision offers a complete platform for users to management video surveillance, access control and now intrusion from one easy-to-use interface. 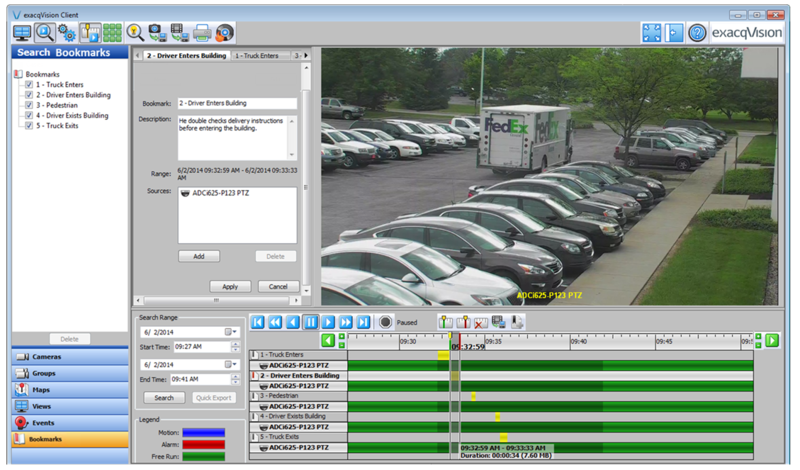 Through exacqVision CameraLinks, users can arm and disarm the system by simply clicking in live view and entering the access code. 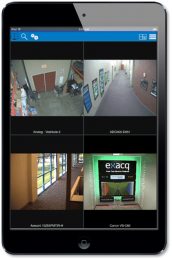 Exacq Mobile also provides access to intrusion and access control actions directly from live cameras. 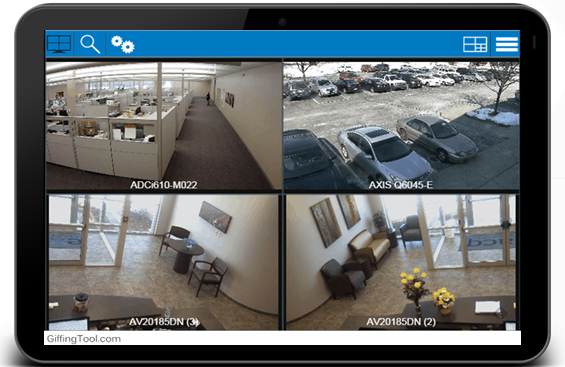 With the new CameraLinks feature now supported in Exacq Mobile, users can receive push notifications and review video footage when the security system goes into an alarm state. CameraLinks puts the most needed commands at your fingertips improving response time. 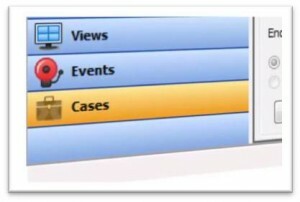 A new filtering feature gives exacqVision users the ability to find cameras and servers faster in the exacqVision client. Large-scale, enterprise installations can quickly locate a specific server by typing in the new filter box at the top of the live, search and configuration navigation trees. The new tree filtering feature is available on exacqVision Start, Pro and Enterprise. Version 7.4 further simplifies operation with new indicators for health events. Users will now receive real-time notifications in the client when camera or recorder health needs addressed. 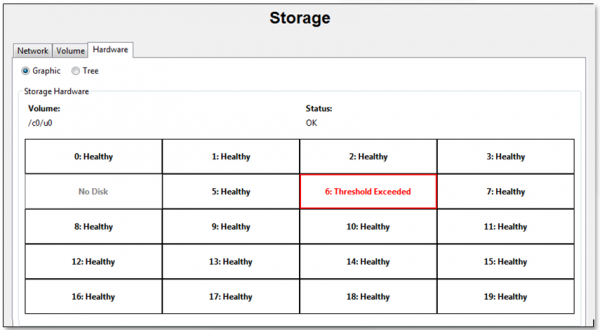 These new health setup indicators will maximize system uptime and increase reliability. Health Indicators are available in exacqVision Professional and Enterprise with a current Software Subscription Agreement (SSA). Power users and admins have the ability to dismiss all indicators of a certain type. exacqVision video export will now automatically resume exporting after a system disconnects or reconnects. With this new feature, users will not need to restart a download. A new command gives exacqVision Surveillance Keyboard users the ability to switch client instances from the keyboard. 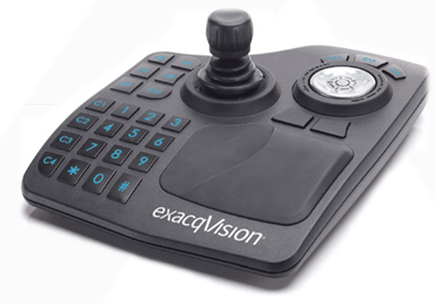 With this new feature, exacqVision users can seamlessly and quickly control multiple clients from a single keyboard without ever taking their hand off the joystick. The web client now supports exacqReplay. Simply right click the camera view to replay the video in increments of 5 seconds, 30 seconds, 1 minute, 5 minutes or 15 minutes. This will open a new pop-up window or new tab in the current browser instance. In Enterprise System Manager, administrators can ensure only one user is actively making changes to the server with the new server management feature. 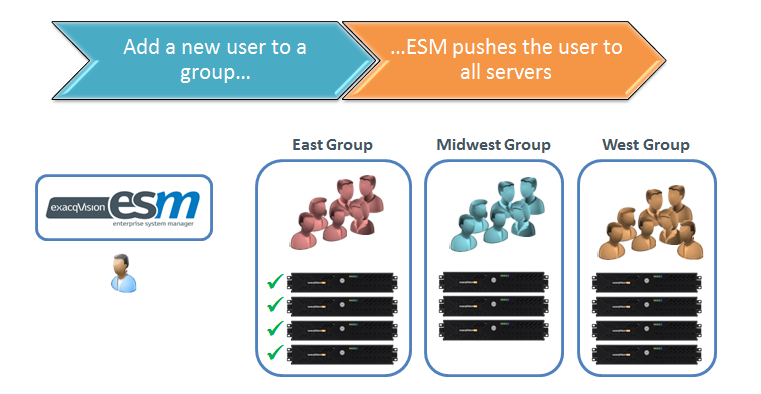 In environments where multiple ESM servers are used, the first ESM instance will define itself as the owner of the server, while other ESM servers will no longer have the ability to change settings. 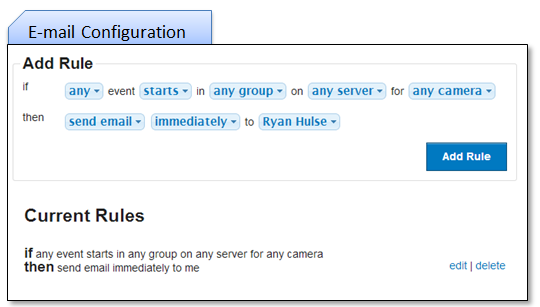 This new functionality automatically syncs actions being performed across multiple servers. 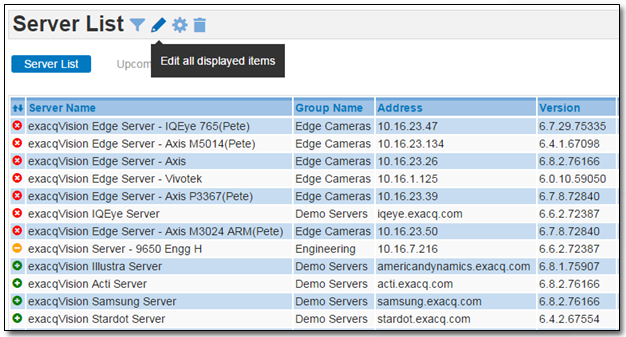 We have added support for more than 50 new IP camera models in exacqVision 7.4 release and updated over 175 test records. exacqVision now supports nearly 3,000 IP cameras. Region of Interest supported for cameras using the Illustra3 plugin. 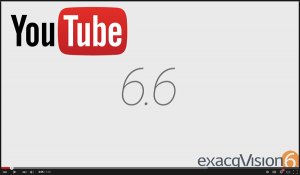 The latest version of the exacqVision Video Management System (VMS), Version 6.8, is now available. The focus of this release centers around VideoPush for Exacq Mobile and faster camera discovery through EasyConnect. With added support for over 75 new cameras in this release and 250 new test records, the exacqVision VMS now supports nearly 2,300 IP camera models. The EasyConnect feature on the exacqVision VMS allows users to find, assign, address and connect certain IP cameras to their network automatically. 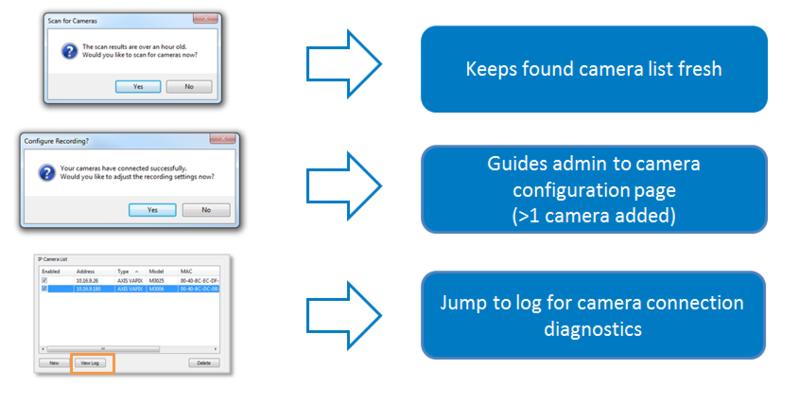 Camera scanning for EasyConnect in exacqVision 6.8 has been improved to find more cameras on busy and noisy networks, including cameras on different subnets. Use the exacqVision 6.8 64-bit version for improved operating system memory management for environments with high input/output (I/O) demands. 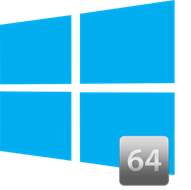 How to upgrade to 64-bit? For IP-only 64-bit Windows systems running 32-bit exacqVision, simply run the 64-bit exacqVision Installer. 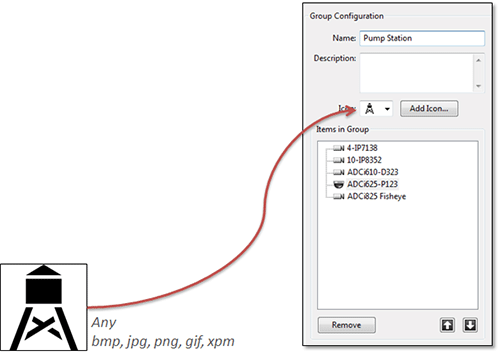 The exacqVision 6.8 groups page allows you to create logical groups of cameras and other items connected to one or more systems. 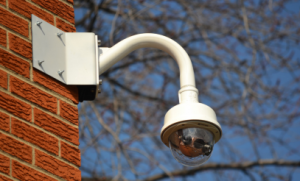 This is useful when you have a large number of cameras spread across multiple buildings or a campus, and you would like to place cameras in logically named groups such as first floor or second floor instead of viewing your cameras in default groups based on their connection to the systems. With exacqVision 6.8, you can now upload and assign custom icons to groups, making it easier to find groups of interest at a glance. You can now also sort items within a group. 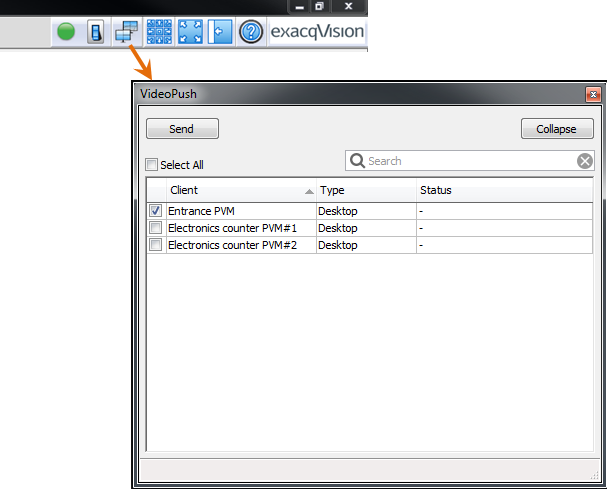 exacqVision 6.8 now supports video push to mobile devices. 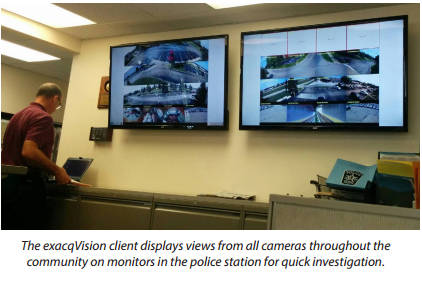 VideoPush gives exacqVision Enterprise users the ability to instantly push selected cameras, layouts, tours, groups or entire views to another exacqVision client monitor, such as a public view monitor (PVM), video wall and now to mobile devices. This feature allows video to be sent and shared with officers on patrol or other remotely stationed personnel for on-the-go collaboration. For example, when users identify a suspicious event occurring in an area, the video can immediately be pushed directly to the mobile device of a person closest to that area. 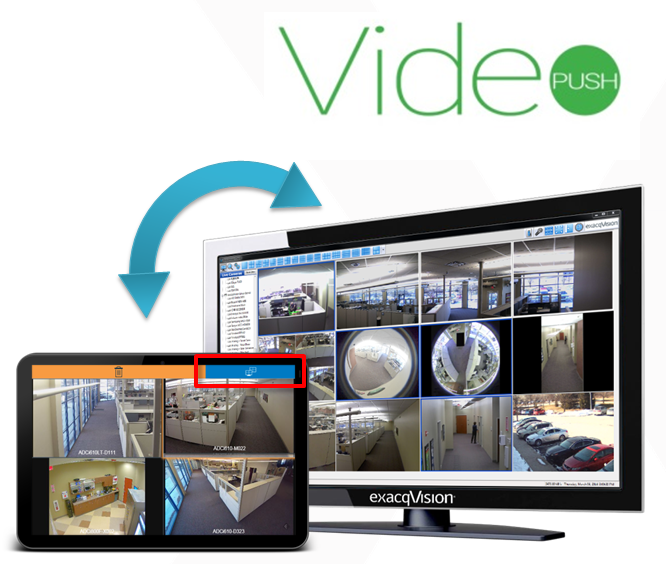 VideoPush is available in the exacqVision Enterprise VMS at no extra cost, with no limitation on the number of public view monitors, video wall, or mobile device connections. 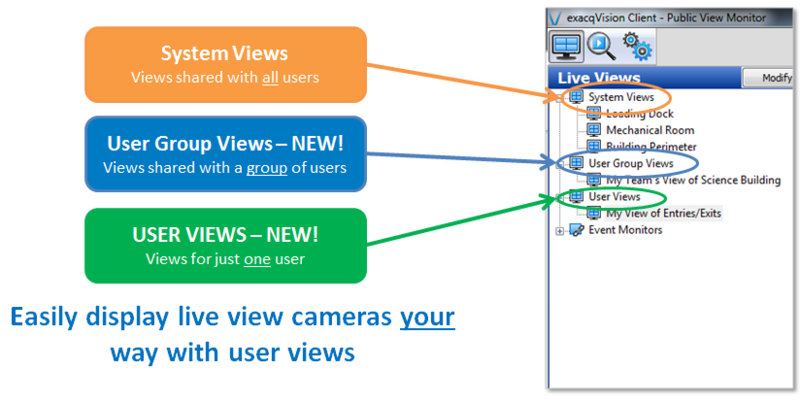 View cameras by group, as defined in the exacqVision client. With support for groups, Exacq Mobile users can quickly view relevant cameras. The Web Client now offers more configuration support of exacqVision recorders, including the System Information page and Add Cameras page, with the ability to enable/disable cameras and manually add new cameras. 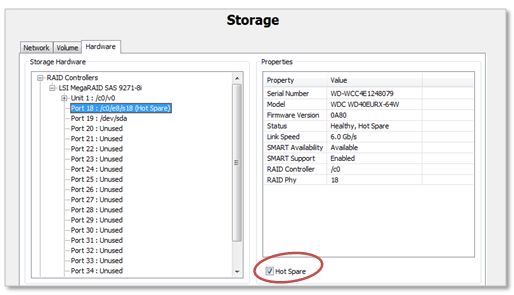 Automate the backup of recorder configurations in Enterprise System Manager (ESM) 3.2. 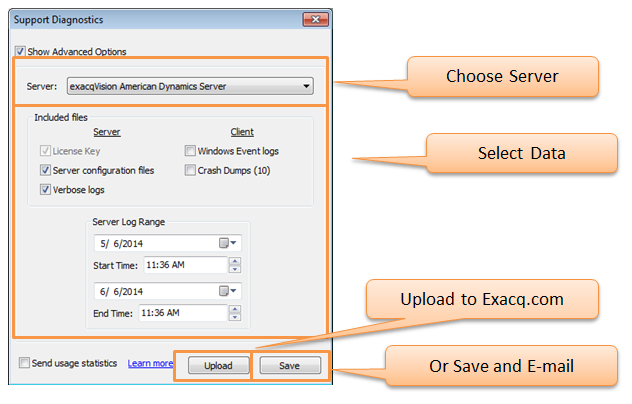 Administrators can schedule backups (exports) of multiple recorder configurations at once. These backups are stored on the ESM server and can be restored (imported) to the recorder to “reset” the recorder to a known earlier good state. This ability to configure and schedule exports on multiple servers simultaneously eases the management of large environments. Short events that occur frequently can result in hundreds or even thousands of entries in a batch email notifications. With ESM 3.2, you can filter those events from triggering multiple notifications using the new “lasts for at least” rule. This ensures that the event duration lasts long enough to warrant a notification. You can now edit all of the servers in the ESM server list using the new bulk edits option. Click on the new bulk edit icon to update basic connection properties that should be the same on every recorder. 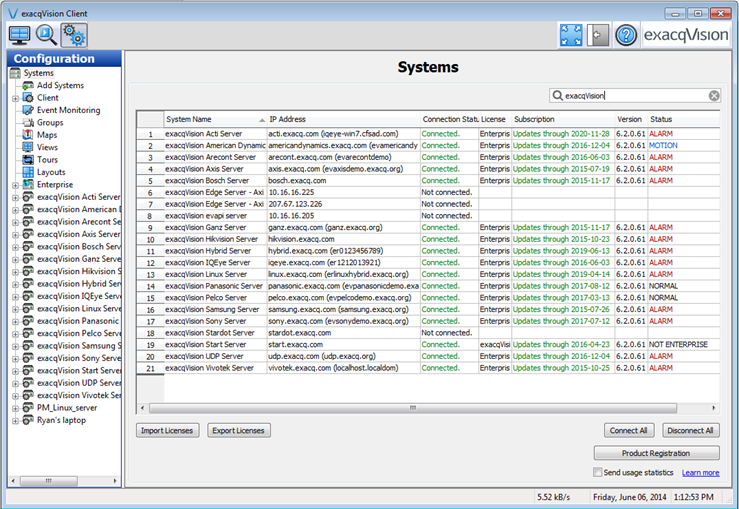 The bulk edits feature also allows you to delete all servers in the list . 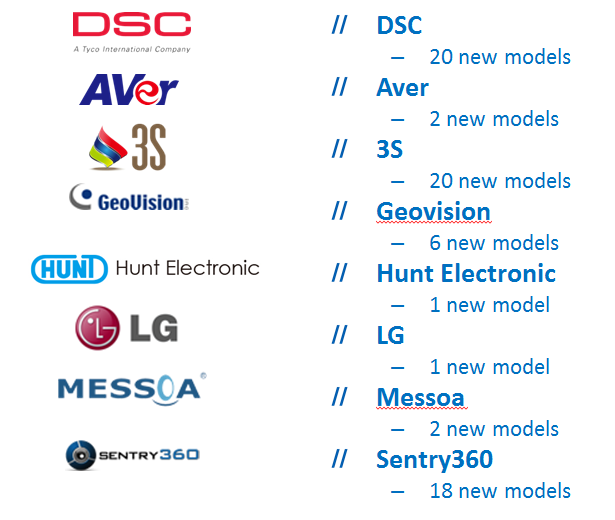 We’ve added support for more than 75 new IP camera models in the exacqVision 6.8 release and updated over 250 new test records, bringing the total number of supported IP cameras to nearly 2,300! The latest version of the exacqVision Video Management System (VMS), Version 6.2, is now available. This release adds bookmarking and case management, allowing users to permanently save, label and manage important video clips on the server. In addition, exacqVision 6.2 includes built-in EasySupport for highly detailed, same-day online support, along with Transacq Search for easier, more powerful searching through important serial data from sources like cash registers. With added support for over 80 new cameras in this release, the exacqVision VMS now supports nearly 2000 IP camera models. Our new bookmarking feature allows you to tag, name, and retain video clips, providing long term, server-based retention of important evidence. Create a bookmark by marking the video start and stop points, then click the new “Create Bookmark” button. Give the bookmark a name and a description, then click the apply button to save the bookmark. Bookmarking allows you to easily find important video from the exacqVision client. 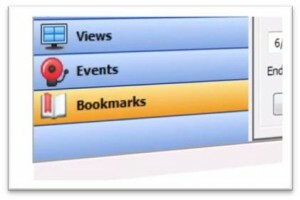 Bookmarking is available in exacqVision Professional and Enterprise. 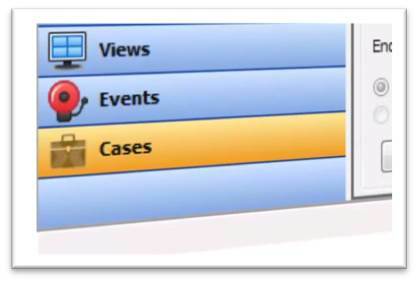 The new Case Management feature, available in exacqVision Enterprise, provides a tool to organize related bookmarks into cases. Organize your bookmarks into named cases. 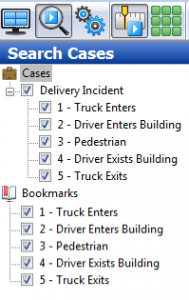 Search cases to find related groups of bookmarks. 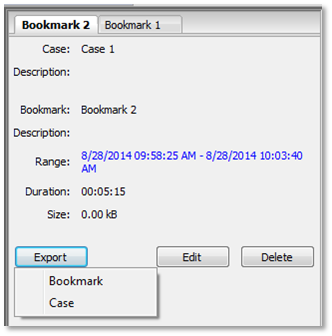 Use case management and bookmarking together for long term storage of critical evidence. 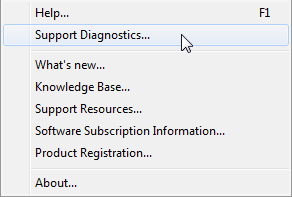 In exacqVision 6.2, we’ve added a “Support Diagnostics” option. This feature streamlines your technical support issues by automatically sending important log files, system information and your notes to an exacqVision technical support specialist who will reply online, usually within a single business day. Response target: < 1 business day. When you select the Support Diagnostics menu option, you simply choose the server and the log files you wish to report, then upload them to your case. 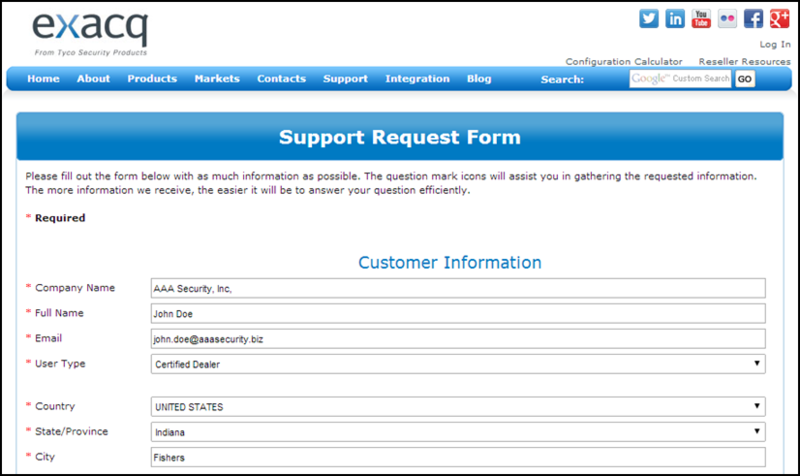 The upload button initiates the online Support Request Form with several fields pre-filled for you. 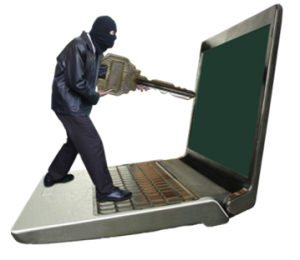 You will receive a confirmation with your case number, customer information, system information and a list of the support diagnostic files that were uploaded. Exacq Technical Support then reviews your files and responds with a solution or further diagnostic actions. The new Systems page allows you to connect to your exacqVision servers from your client faster. This is specifically noticed by users who have high server counts. The updated Systems page also makes it easier to connect or disconnect to every server on the grid with just a single click. 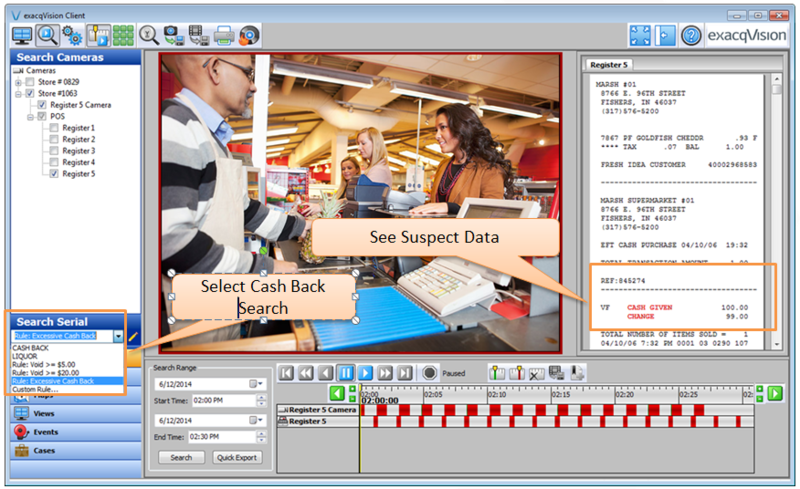 With Transacq Search we’ve greatly simplified the serial data search feature in exacqVision 6.2, providing a tool to search important data such as cash register transactions synced with surveillance video. In addition, you can set up a recording event and other actions based on serial data. For example, record video when liquor is purchased. 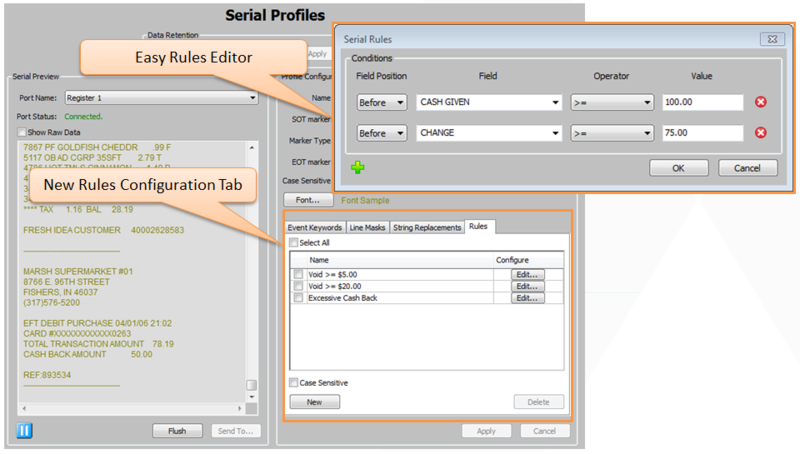 Setting up the search rules is easy with the new rule configuration screen. 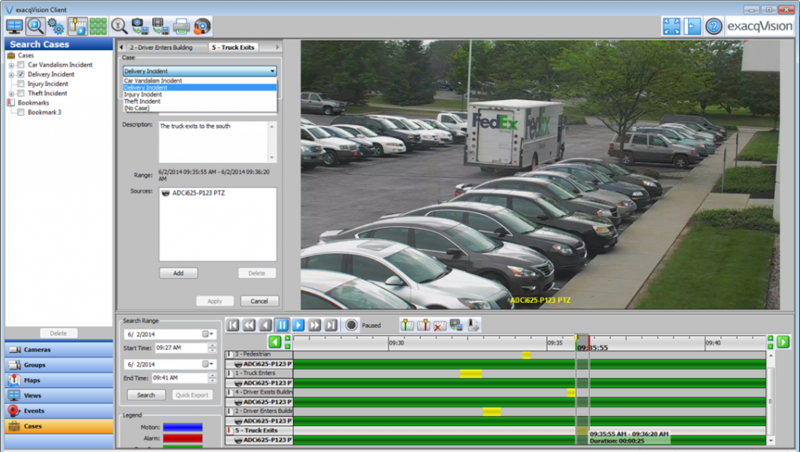 Version 6.0 of the exacqVision VMS included smoother control and faster response for a number of IP PTZ cameras. 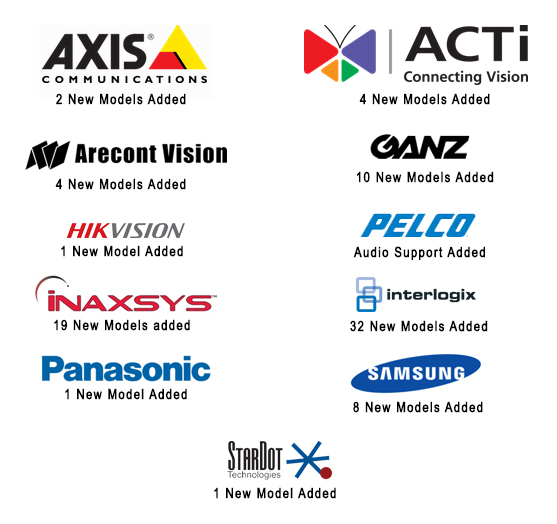 With the 6.2 release, these improvements have now been expanded to include more camera manufacturers including Pelco, ACTi, Hikvision and UDP. 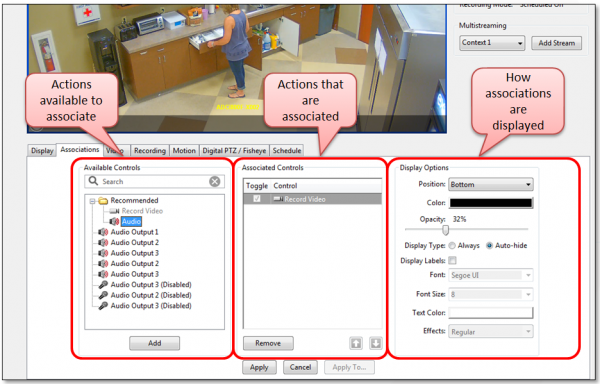 You’ll really notice these improvements when using the exacqVision Surveillance Keyboard. Exacq continues to build on its list of supported panoramic or “fisheye” cameras that allow for client-side dewarping. With client-side dewarping the entire panoramic field of view is always available–whether the user is in live or recorded mode. This works with the exacqVision client, the web browser client and even with the Exacq Mobile app. Client-side panoramic dewarping is more resource efficient, recording one video stream and eliminating the possibility of redundant recording. Version 6.2 of exacqVision adds client-side dewarping for the Illustra 825 and the Samsung SNV-7010 fisheye/panoramic cameras. We’ve added support for over 80 new IP cameras models in the exacqVision 6.2 release, bringing the total number of IP cameras supported to nearly 2000! As always, the latest versions of exacqVision client and server software can easily and quickly be copied over existing versions while retaining all user settings. The latest versions are available through “Check for Updates” in the “About” box in the exacqVision software.